Last weekend some of my friends delivered me a piece or news, says Amazon was stopping 1st & 2nd generation of Kindle (including Kindle 1, Kindle 2, Kindle DX/DXG) resgistering. It’s not the first time I hear such kind of news in recent years, but every time it proves I can still register my Kindle to Amazon account. This time I am also going to prove if Amazon has really abandoned the first two generations of Kindle. I searched the internet and found the source is a thread from MobileRead forum. In this thread, the user q2jc30 said his Kindle is not able to be registered after restoring to factory settings. Many Kindle owners are discussing in that thread, and the most important is, Amazon hasn’t officially announced anything yet. I have a Kindle DX which is still working well, it’s the second generation of Kindle. Months ago I turned it on to check if it still works, at that time it upgraded to the latest firmware. Your Kindle is unable to connect at this time. Please try again later. If the problem persists, please restart your Kindle from the Menu in Settings and try again. Then I contacted Amazon’s customer service and asked him about this issue. The customer service staff asked me about the Kindle’s serial number and my Amazon account and registered this device with my Amazon account. But the Kindle is still showing “unregistered” even though I can see this device in “Manage your Kindle and Contents” page. Then I contacted Amazon again, this time the customer service asked me to buy a free eBook (here to find free Kindle books every day) again. In this process everything went well, the free book synced to my Kindle as normal. But my Kindle was still showing “unregistered”. The error message will get off automatically. Please charge the device for few hours and restart it. Then I put this Kindle aside for a night, the next day when I woke up, this Kindle is already showed registered, all the related functions are working normally. If a Kindle 1 or Kindle 2 is restored to factory or deregistered, you are not able to register it with your Amazon account by yourself right now. You need to contact Amazon’s customer service to let them register the Kindle for you. Once registered, you need to wait for hours to make everything OK.
Amazon released the Kindle, its first e-reader, on November 19, 2007, for US$399. 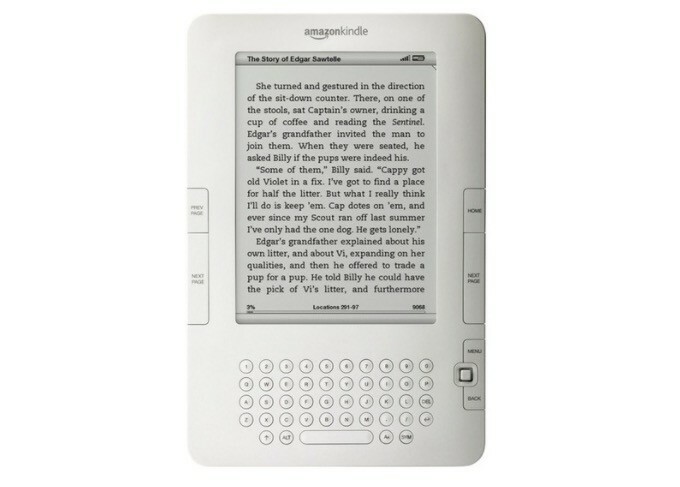 The first Kindle equips a 6.0 inch E-Ink screen and a full keyboard. It has 250MB storage space, speaker, headphone jack, and extended SD card slot. But this Kindle can’t connect to WiFi, instead is the free 3G network. 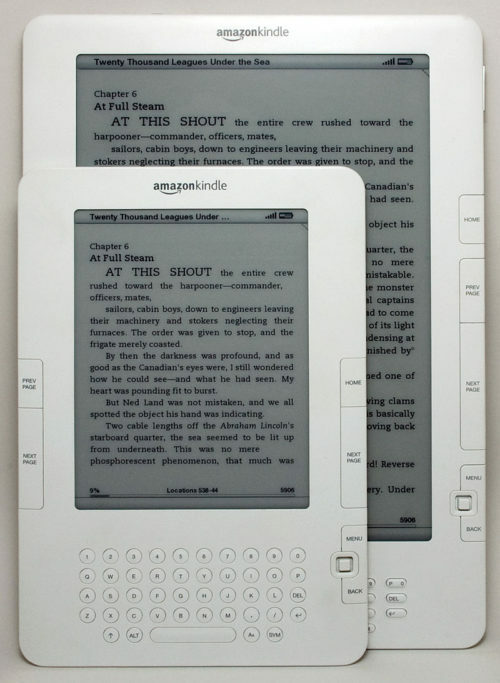 February 2009, Amazon released Kindle 2. It has more elegant design and lighter weight, added text-to-speech function. It took away the SD card slot but added the storage space to 2GM. Like the Kindle 1, this Kindle also supports 3G network only. 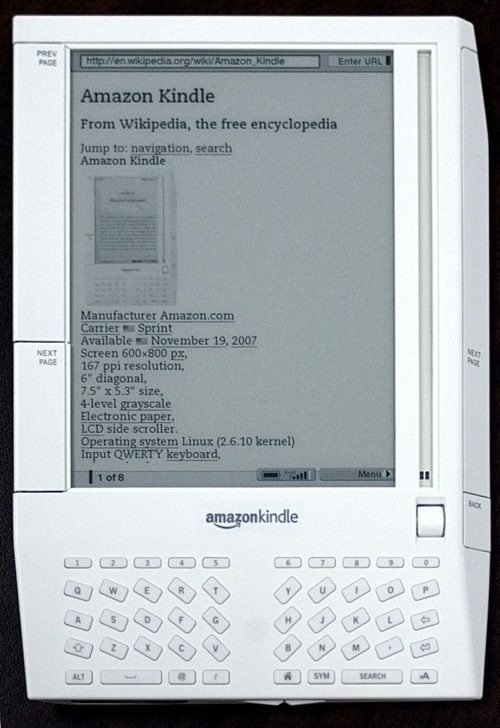 On May 6th, 2009, Amazon released Kindle DX, its appearance is a bit similar to Kindle 2. It also doesn’t support WiFi connection but has a 9.7-inch large screen. 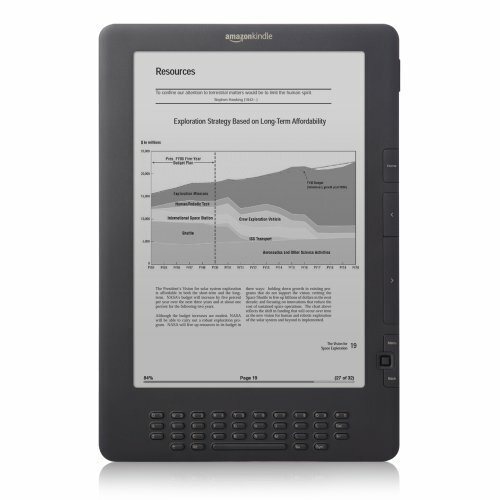 On July 1st, 2010, Amazon released the second generation of Kindle DX, and called it Kindle DX Graphite (Kindle DXG). It has the same screen size as Kindle DX, also doesn’t support WiFi, but has higher screen resolution.